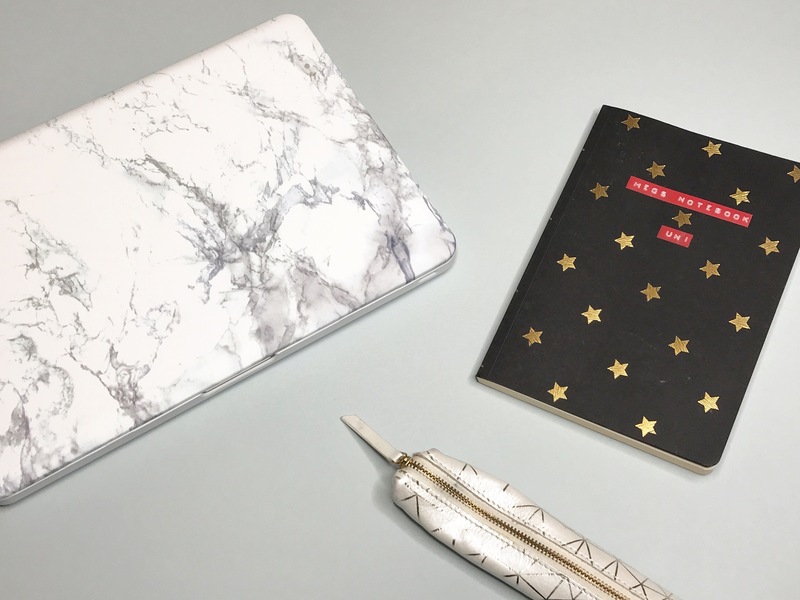 So Uni has officially started again, although I’m not in until Friday, I know plenty of freshers have already started their inductions and lectures so I thought I would share some ways of staying organised and how I will be taking my notes this year- thrilling I know. This will just be a short one because really I just wanted to share my cute stationery with you. So in first and second year I literally turned up with a notepad and pen and copied up the entire 2 hour long powerpoint word for word every single week, which resulted in pages and pages of notes that I didn’t understand and that I never looked at again. Every module I did had its own ring binder folder full of notes I had copied up, in handwriting that I could barely read so it was basically all a big waste of time. If you are just coming to uni and are about to start taking notes, do not do it like this, you will be drowning in paper by the end of the first term. This year I’ve decided to take notes on my laptop, in theory it should be quicker and I can have the lecture open at the same time. I think I’m also going to take a little notebook to scribble down any books to read or any seminar notes I need to remember. I found this cute star one in my random assortment of notebooks I’ve never used so I thought now would be a good time. I always feel more prepared to do work when I’m in a nice clear work environment with nice stationary, I just feel really organised and ready for the new term. 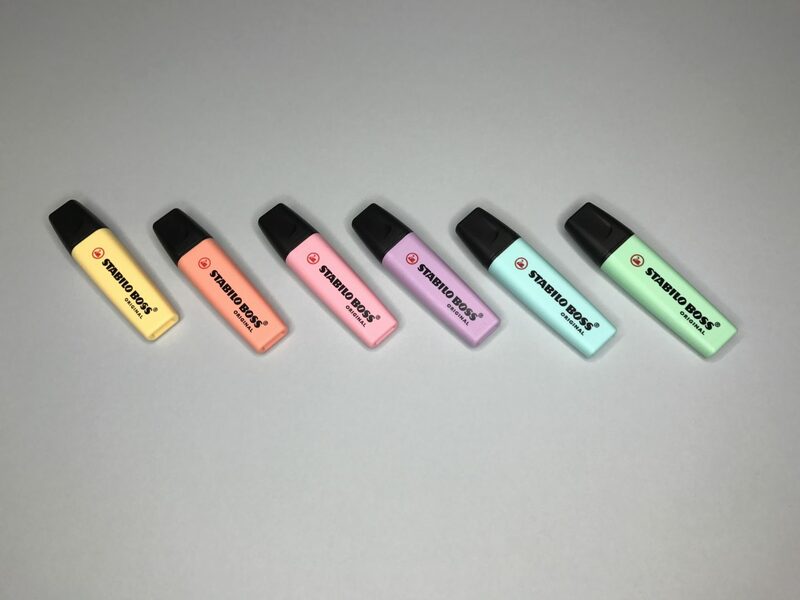 For any of you stationery lovers out there, I had to mention my new highlighters, they’re the Stabilo Pastel Highlighters and they’re actually mega cheap on amazon at the minute. I also have to mention my new laptop case that Josh bought me which I am in love with- marble heaven. I just take a small pencil case with a few nice pens from paper chase with me to Uni, theres no need to cart round a massive selection of stuff for my course, I never need anything other than a pen and it’s just added weight that I don’t need. Another tip that I find super helpful is to have a diary, it’s up to you whether you want a physical book or to have it on your phone. 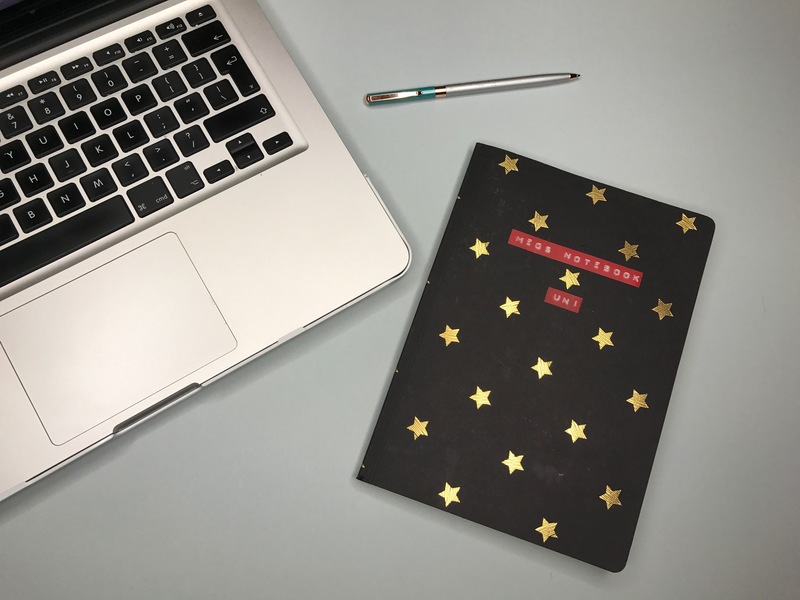 I prefer a physical diary, usually from Paperchase like this one where I can jot down any work that is due to be handed in or extra sessions or meetings for my course so that I don’t forget them. I am very forgetful and have to write things down to remember to attend, if you aren’t like that congratulations, but if like me you are, a diary would be a solid investment whilst you’re at Uni. 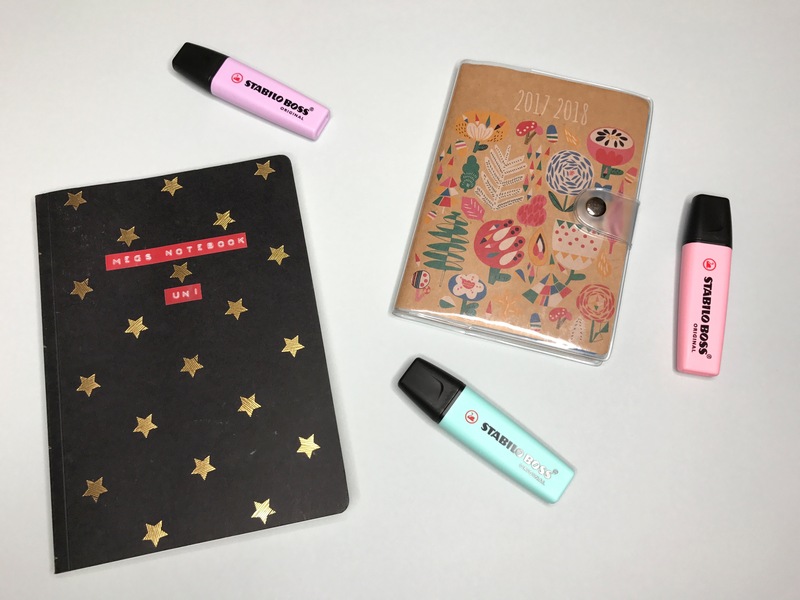 I know this is a slightly random post but I thought it might be helpful for any freshers looking into how to keep on top of the workload at uni and obvs I just had to share the stationery. Your stationary is the cutest! Thank you for sharing! Those highlighters!! They’re so cute! Ones were so much more gentle on my eyes, if that doesn’t sound too weird! No I totally get that!